As Christmas approaches, we wish all of our readers a blessed and joy-filled season. We look forward to serving you in the mission of evangelization through 2013 and beyond. Fr. Frank DeSiano speaks about what lies ahead now that the Synod on the New Evangelization has ended. Read more. Mandy Bell of Glasgow, MT, explains how her parish is growing in the commitment to evangelize. Read more. Fr. Tom Ryan, CSP, talks about the implications of taking our faith in the incarnation seriously. Read more. Fr. 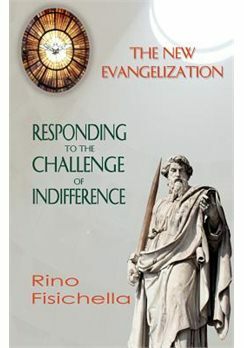 Frank takes a look at what Archbishop Fisichella’s new book has to say for church leaders and evangelizers. Read more. Maggie Gutierrez shows one way she helped Catholics to remember the ways God touches us in our experiences. Read more.